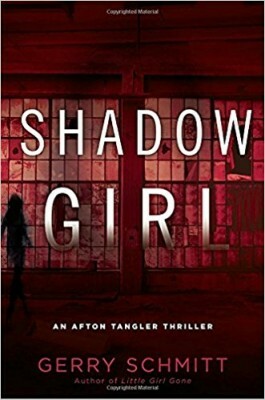 Details at the end of this post on how to enter to win a copy of Shadow Girl. We also have a link to order it from Amazon, and from an indie bookstore where a portion goes to help support KRL. For readers who love Theodosia, Drayton, and Haley from the Tea Shop books, Carmela and Ava from the scrapbook series, and Suzanne, Petra, and Toni from the Cackleberry Club, this is a departure from the cozy mysteries you’re used to. Schmitt (Laura Childs’ real name) has turned to thrillers. Her first, Little Girl Gone, is about a kidnapped baby. Shadow Girl is the second, and it starts with a bang, literally. A helicopter is blown up as it comes in for a landing at the hospital. On board were the two pilots and a donor heart. From there, the action never stops. Family Liaison Officer Afton Tangler and Detective Max Montgomery were nearby when the explosion happened. With helicopter parts falling from the sky onto a college campus, it’s chaos. Leland Odin is mega-rich from a home shopping network he started. Whatever you need, want or desire, or maybe didn’t even know existed, they sell it, twenty-four hours a day. The one thing Leland needs, he can’t buy—a new heart. That was supposed to be his new heart in the now pulverized helicopter. It’s up to the police to figure out if the explosion was an act of terrorism, general mayhem, or aimed at Leland. Leland isn’t likely to live long enough to get another chance. Still, not many people are sorry about that. His wife seems more worried about the geese who leave a mess around the fancy homes in their exclusive neighborhood. His stepdaughter seems bored by the whole event. Employees are worried about their jobs. Leland’s partner thinks he might be next and with good reason. Afton’s job is to act as a buffer between the police and the victim’s families. She really wants to be a detective. In a case like this, it’s all hands on deck, so she’s allowed to shadow Max, make sure his reports and notes are legible, and hopefully, keep a low profile. She’s not so good at that part as seen when she takes off chasing a suspect with no backup, no weapon, and no training. That could have ended better—or much worse. Things really ramp up into high tension when her family is targeted. To say much more would take away from the excitement of reading it for yourself. Take a deep breath, dive in, and hang on, it’s a fast-paced, thrill a minute ride from beginning to end. It’s hard to imagine what Afton will be up to next. 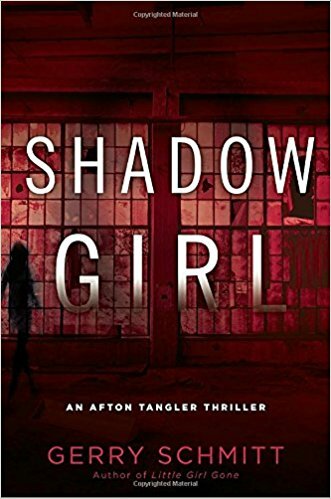 To enter to win a copy of Shadow Girl, simply email KRL at krlcontests@gmail[dot]com by replacing the [dot] with a period, and with the subject line “girl,” or comment on this article. A winner will be chosen October 28, 2017. U.S. residents only. If entering via email please include your mailing address, and if via comment please include your email address. This sounds like an engrossing thriller. I’m always interested to see cozy mystery authors write in different genres. Thanks for the giveaway! This sounds like a great plot. Her other books/series are terrific and I’m sure this will be, too! My interest is definitely piqued, thanks for another great giveaway. A thriller that sounds great.